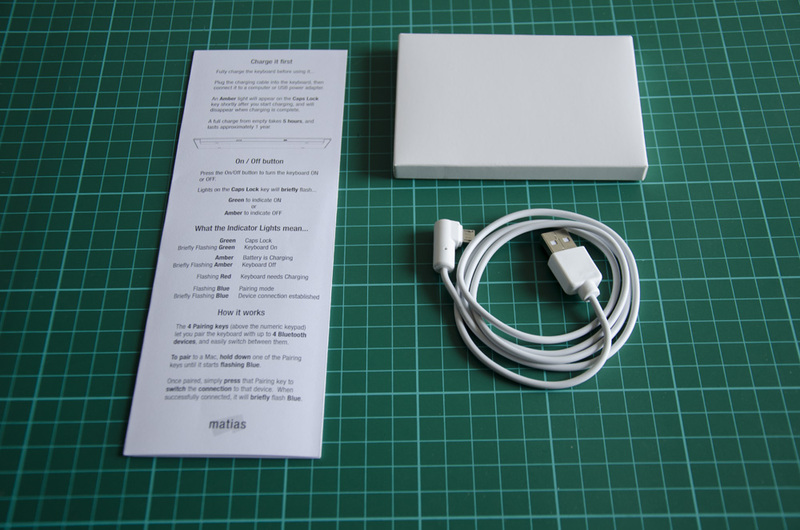 Today, we’re taking a look at the latest from Matias: the Wireless Aluminum Keyboard. 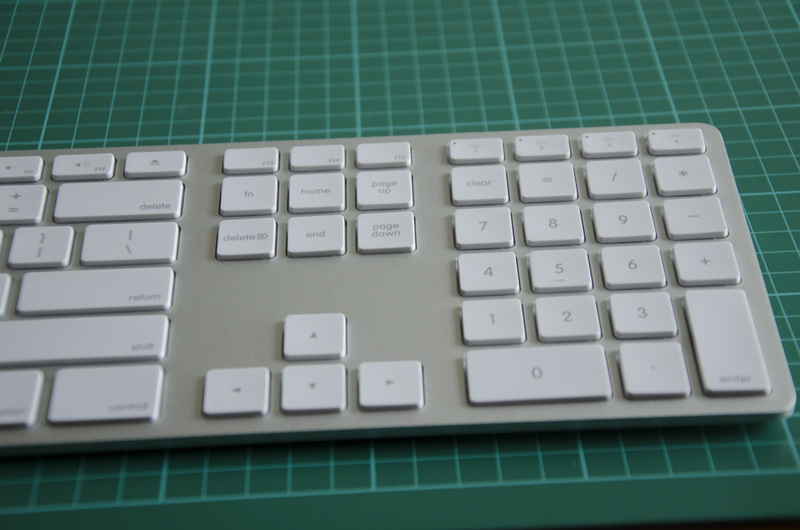 This keyboard is designed as a full format alternative to the Apple Wireless Keyboard, offering a similar style but with Bluetooth and a number pad. They’re arrived in stock at KeyboardCo, so let’s go hands-on and have a look! The first thing you’ll notice is how solid this keyboard feels in your hands. It’s made from a single piece of aluminium, giving it impressive rigidity and strength. It’s cool to the touch as you take it out of the box, and warms up nicely as you begin to type away. 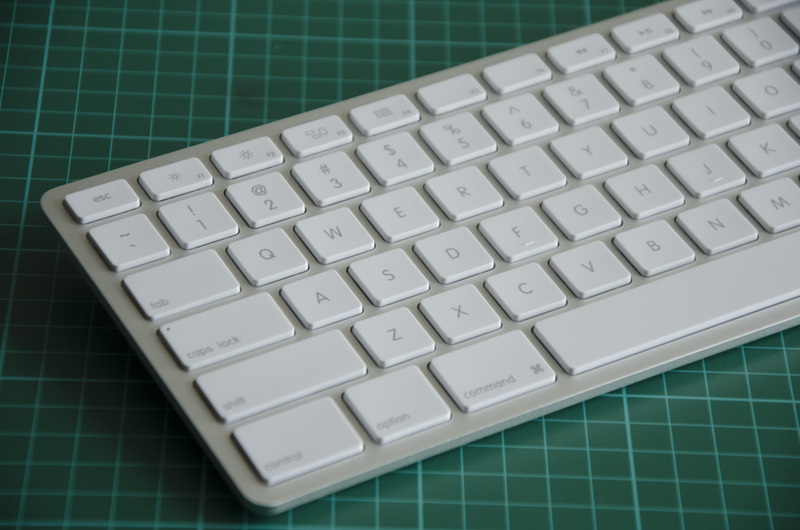 Under the fingers, this Matias keyboard feels very similar to Apple’s own. There’s a good amount of travel in the keys, and the low profile keycaps make it easy to glide around the keyboard at some speed. There are function keys at the top for performing common commands like raising the volume or adjusting your screen brightness, and of course there’s that full number pad on the right hand side. This is brilliant for anything that requires typing numbers often, like math work, spreadsheets or data entry. It’s a standard Mac layout, but it will work with Windows, Android and other operating systems too — you’ll just need to ignore some of the legends on the keys! On your desk, the Matias Wireless Aluminum Keyboard is just as pretty as Apple’s model, and pairs nicely with an Apple Magic Trackpad or Magic Mouse. There are a few keyboards that attempt to mimic Apple’s aesthetic, but Matias get it dead on, and back it up with quality materials and a sensible design. The Wireless Aluminum keyboard is available in four colours in US layout; this is the silver model. The other options are gold, rose gold and space grey — which you might recognise as the current colour options for the iPhone, iPad and MacBook. If you want a perfectly matching keyboard, we’ve got you covered. We’ve also got the UK layout model in silver. You get a Micro USB charging cable in the box, and you’re encouraged to let the keyboard charge fully before starting to use it. That’s sensible advice, so I left the keyboard plugged in for a few hours, until the amber light on the Caps Lock key disappeared. Once charged, the keyboard should last a year before needing another top-up, so this initial wait is pretty understandable. Once it’s ready to go, you just need to pair it with your device — which can be an iPhone, an iPad, a Mac laptop or desktop, a Windows PC of any description, or even an Android phone or tablet. Simply turn on the keyboard via the on/off switch on its back, then press and hold one of the four pairing keys above the numberpad. This key will start flashing blue to let you know it’s ready to pair, and then you pair as you normally do on your device of choice. The process takes only a few seconds, and once pairing is complete you can re-engage the connection by pressing one of these Bluetooth keys again. There are four in all, so you can store four Bluetooth connections simultaneously and switch between different devices with ease. If it sounds complicated, it’s really not, and it’s all explained very carefully in the instruction card that accompanies the keyboard. The Matias Wireless Aluminum keyboard is a nice addition to any desk. It’s stylish, well-designed and gets the job done. Because it’s Bluetooth, you can use it with basically every device you own, from laptops and desktops to smartphones and tablets. If you’re looking for a full-size keyboard with a number pad and you like Apple’s style, this is a great choice. The Matias Wireless Aluminum Keyboard is available now at KeyboardCo. Choose the colour of your choice to see more information and get one for yourself!